The Goddess Grove is a Temple deep in the lush woods devoted to honoring the rise of the Divine Feminine. The Goddess Grove offers a sacred space for healing, renewal and restoration as well as meditation, relaxation, and connecting. Learn about the Great Mother of fertility, creation, life, death and the principles of sacred sexuality, the rise of the Goddess/Divine Feminine and balance with the Divine Masculine. 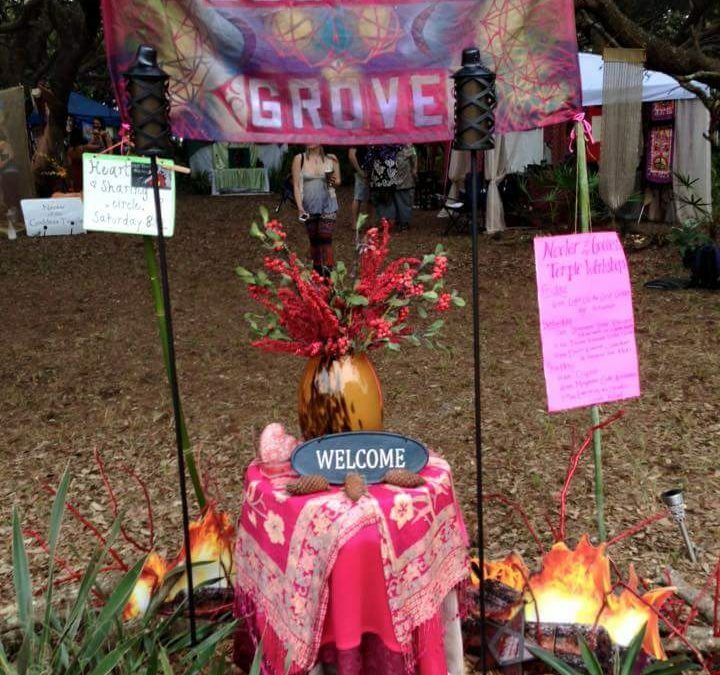 The Goddess Grove is a platform for sharing sacred knowledge, healing, art, and anything that contributes to the elevation of the Goddess within. Love Priestess Lucia Gabriela is a Love Coach, Love Healer and Love Alchemist who loves to create sacred space for men, women and couples to embody true love, reawaken their sensuality and reclaim their sexual power. New Earth Tribes Collective is a sacred space of healing, activation and celebration. Bridging indigenous wisdom and connection to the earth with the technology and gifts of the modern day world. We are a community of true believers in the power of coming together to dream awake the present moment in its highest and most perfect potential. We host various workshops, experiences and discussions on ancient teachings, transformation, and integration. There will be on going body work, sound healing, sacred fire, discussions, workshops. and nutritious snacks by donation and experiences.